Unlike other states, it's cheap and easy to get on the ballot in New Hampshire: Candidates sign some paperwork and hand over a $1,000 check to the secretary of state. This year, a near record 58 White House hopefuls signed up — 30 Republicans and 28 Democrats. All but three of the candidates are men. Democrat Hillary Clinton and Republicans Carly Fiorina and Chomi Prag are the only female candidates. 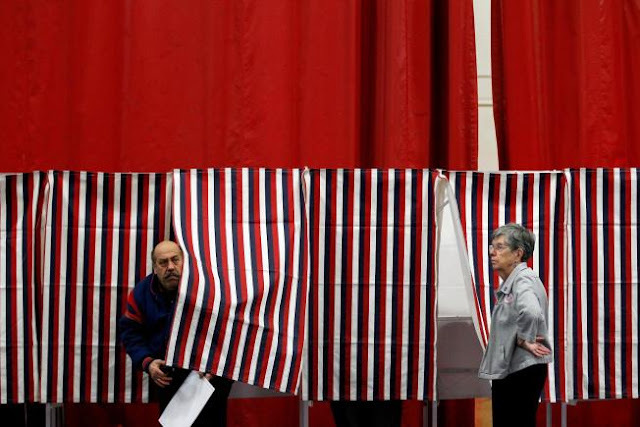 For the 2012 election, 44 presidential candidates from 26 states got on New Hampshire's ballot. The all-time high was 1992, when 61 signed up. This year's crop included some familiar faces, including Edward O'Donnell of Bridgeport, Pennsylvania, a Democrat making his seventh run. Perennial candidate and performance artist Vermin Supreme also signed up at the secretary of state's office, wearing his signature rubber boot on his head. He's touting a plan to provide every American with a pony.